The other day I realized it’s been almost 4 months since OB ended. In the past, I’ve been able to move past other dramas that I loved without so much difficulty, but it’s different with OB. Maybe since it was a longer drama than most so there was a lot more to love, but I think it’s more than that. It’s how I feel each time I see any OB characters. There is a lot of affection there like we all got to know each other over a long period of time. Drama characters come and go in our lives, but once in a while, we come across some that makes us want to linger. Long after the show has ended and those actors have moved on to different roles, the feelings and image we cherish of our beloved characters can’t be effaced. Sure new characters steal our attention away for a few weeks or months, but when it comes down to listing our all time favorite onscreen couples, names like Ja Eun and Tae Hee will come out on top every time. As loyal OB viewers, we can attest to that dedication cuz look at all the love and attention you have given to these OB pages. The fervor and passion that arose when Uee and JW’s new coffee CF came out seems to have incited renewed adoration for our beloved couple. As soon as someone hears news about anything related to JW, Uee, or OB, you guys post and share. I can’t tell you how much I appreciate everyone’s effort to keep us informed. Thank you for sharing your love for JW and OB. As long as you guys are here, new OB pages will continue to pop up so we always have a place to gather. It’s only been a year since the OB press conference, but see how different he looks from the recent one for Gaksital? I don’t know why, but he seems a lot younger and relaxed during the OB press conference. Maybe it’s cuz he has the burden of being the lead role in Gaksital. All I can say is it’s a good thing this drama is not 58 eps cuz otherwise we will need to invest in an industrial size drool bucket. *Photo credit to Baidu and our sweet bbblue73 for sharing them. Interviewer is impressed with this young man. She starts off by saying June is the month that is the most full in life. And just like the month of June, Joo won, whose figure she likens to the figure six(for June, so whimsical!) as I suppose he is always slightly bowed in greeting, is extremely well-mannered, a little shy and full of youthful vitality. JW: To date it is the strongest character I ever played Born into the Japanese occupation period, he had to be strong and hardened himself in order to provide and protect his family.After his brother became an imbecile, he decided to switch his loyalty to the Japanese, becoming the policeman. 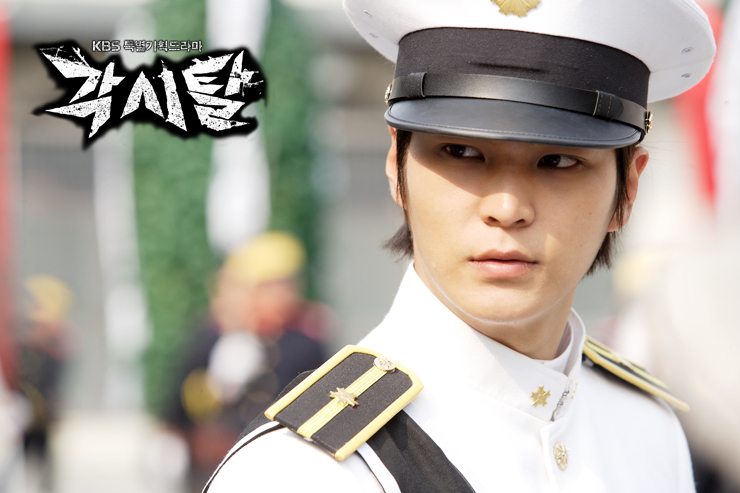 But after he knew the truth behind the Bridal Mask, he chooses to walk the lonely path of a nameless hero. As Kang To changes, it also became more challenging and difficult to act the character. Just like Kang To who had to bury a deep-seated fire within him, with every scene and take, the blood surges. And at the end, the heart feels sad. As this is a very popular manhwa, the stakes are high and the burden great. JW: People around me are saying what a great manhwa this is. They told me I must act the role of Kang To well. Although I am worried that I may not meet their expectations, it is fortunate that after every filming, I am at peace/satisfied and also comforted. I received a lot of care from the director. In reality, filming a drama is always a very hurried and rushed affair. But amidst the chaos, he is unhurried. In fact, he very patiently allows the actor to slowly immersed himself into the role and scene. Even under tiring circumstances, he never shouted once. He is very gentle yet a man who can lead. Another reason why the role is so challenging is the many action scenes. As KT is the Korean heo, these are necessary. These actions are also different from contemporary dramas a they require more physical movements/actions. As the moves were based on karate, it was difficult to master. Being the well rounded athlete that Joowon is, it still didnt come easy. There were many movements that carry a risk of injury. In the beginning I kept telling myself that I must not get injured. But now that I have already injured myself and filming these scenes, I find that I can be more careful and so more focused. Thanks to his background in musical theatre dance, it helped him in remembering the action choreography. I am the type of person who loves to be hang out with hyungs. There were only two of us, brothers in our family. Although I was the youngest, I had a great relationship with my elder brother who is 5 years older. Since young, we played together and did everything together. It was so good that people around us were very envious. Ojakgyo Brothers is a family drama which touched on relationship among brothers. To be able to act with hyungs, i felt very happy. And now, it so happened that I am experiencing the same thing on 1N2D. With my hyungs, i feel very at ease. One of the reasons why JW agreed to take on the challenge of participating in a variety show is that UTW is also on it. With his voice an octave higher, he naturally turns on his aegyo whenever he is in front of his hyungs. In the beginning, when JW was contemplating taking up the show, he was worried whether he could bring laughter to the viewers, he was also concerned that he might let slip and do something damaging to his part as an actor. However, I thought I should not look at it from the perspective of an actor but from a standpoint of the ‘ordinary guy Joowon’ , I will be able to travel the entire country, visit all the corners, in the company of people I like, enjoying nature…is this something that I can possibly do at any time? That’s when I decided to join 1N2D. Filming together, eating together, spending a night together, the initial awkwardness, embarrassment vanished. To a point where you do not even notice there is a camera in front of you. We formed a natural bond. 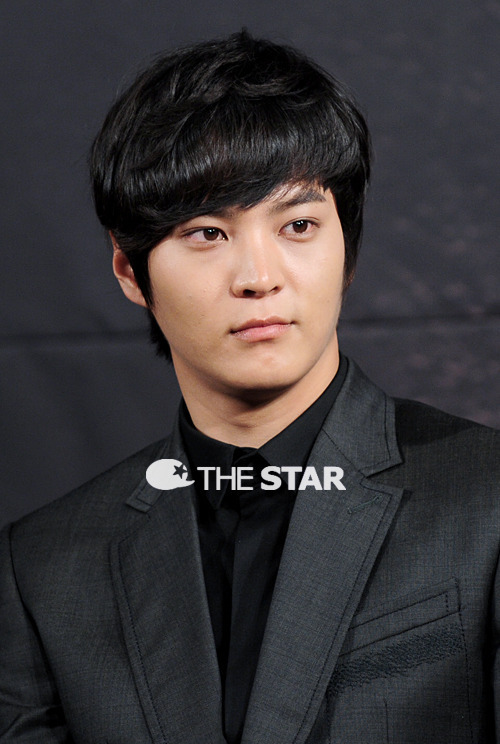 IN2D to Joowon, is like a time for relaxation and a break from work. He can comfortably play and have fun while filming. Although, there is no distinction between the members and he can just enjoy the filming, and this will still bring a smile to the viewers and touch them, he cannot help but wonders if he can do something more to put forth a more meaningful show. Contrary to his concerns, on his perfect face(another interviewer bites the dust! ), there seemed to be 1N2D intelligence written on it. He even exhibits a talent for variety show at times. The master of variety show, CTH praised him for adapting so well and says that JW makes him envious. 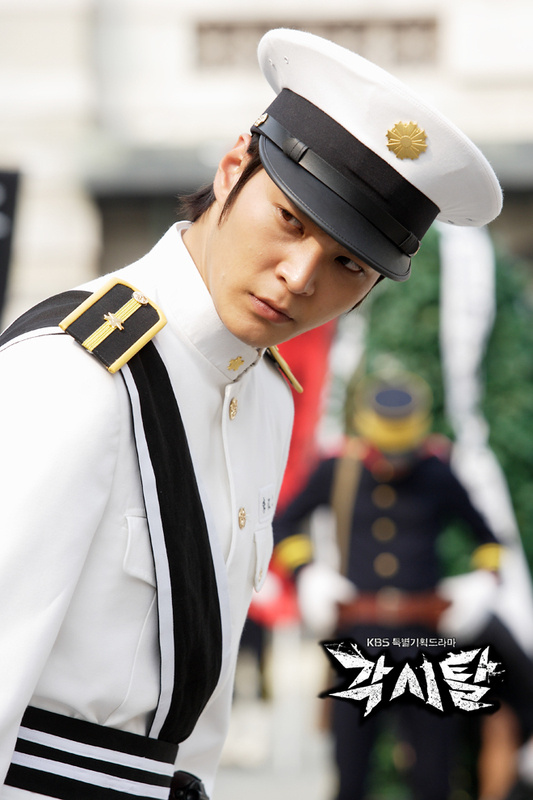 In the movie “Don’t Click” Joowon thinks he really saw a ghost on the set. Once he thought he had waved goodbye to his co-star Kang Byul and her manager as they drove off in a car. However when he got back to the dressing room, he saw Kang Byul still there. He later asked the manager who said only she left that night. ‘So who was that Kang Byul who waved goodbye to me? JW was so scared that his hair stood. When he started secondary school, perhaps in part due to the onset of puberty, he became very introverted and cautious. He was also short which affected his confidence. Seeing him not mingling with his peers, his parents got worried. They advised him to take up a course in broadcasting(maybe speech or something) class but it was full So he ended up in drama classes instead. He got along very well with his classmates, they acted and danced together. Naturally after that he progressed to take up Arts in college and in Sungkyunkwan university. Compared to other courses, Arts course are more expensive. He felt very apologetic to his parents , he was determined to get a scholarship but he wasnt confident in his studying abilities. He decided to aim for another scholarship instead(sorry can’t get meaning here but if i directly translate, it is a scholarship given for best studying effort or something along this line). He then threw himself behind every role he could take, be it sound system, lighting, choreography etc. He really devoted his whole heart into it. At times, he wondered if it’s the thing he wants, but when he steps on stage, the emotions and joy he gets at that moment is unforgettable. In the middle of the interview, Joowon suddenly laughs, embarrassed. Turns out that the TV was showing an ad of Cantata Coffee that he and Uee did together. It was the first time he saw it on TV. (i suspect this TV was planted, how else is he facing a TV during an interview. Any one with me??). Joowon still gets very shy and awkward when he sees himself on TV. JW says whenever he is told to act cool and suave, he gets nervous. 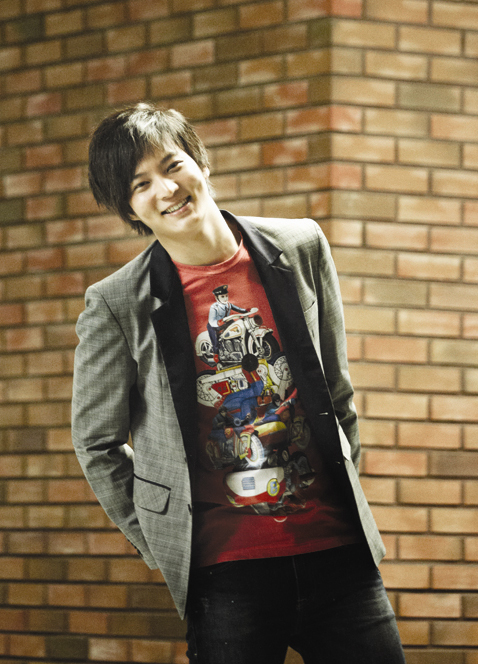 Although he is lively and vigorous in dramas, variety shows and movies, some things cannot be changed. In truth, he left a deep impression during the 2010 KBS drama awards. When his co-star Yoon Shi Yoon went on stage to receive his award Joowon’s eyes were brimming with tears. Looking at him, one can tell that he is a man who greatly values relationship. 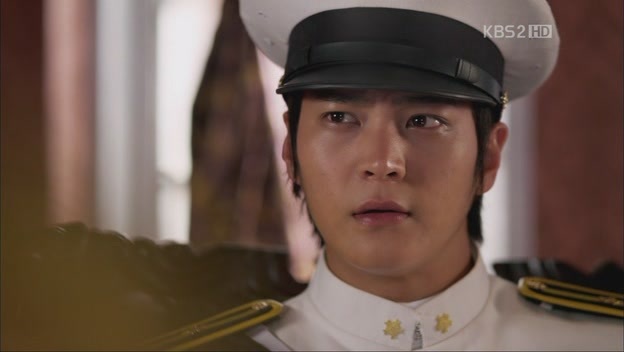 Deep in his heart, Joowon is someone who is very warm and affectionate. When he first debut, he had a dream. he wanted to be a humane actor. What he will hate to hear is “you have changed with success”. Although he also agreed that he had changed in some ways, he is determined not to forget his dream and to continue working hard. The actor he most aspires to be is Korean’s King of Movies, Ahn Sung Ki(hope i got the chinese names translated right). He met him for the first time in the earlier Baeksang Awards. JW: He turned out to be everything i imagined him to be. Looking at the way ASK sunbae greets the juniors and how he took care of everyone, it left me with a deep impression. That day was a very joyous one. I had won the newcomer award and ASK sunbae won the best actor award. (sorry HT’s part is strictly private). I felt very honored. That night, he sat beside me, I felt very nervous and exhilarated. Kim Yun Seok who also belongs to the same agency(gosh this agency is really something!) was also nominated for the same award. I didnt know who to root for. In the end ASK won, I was very happy. 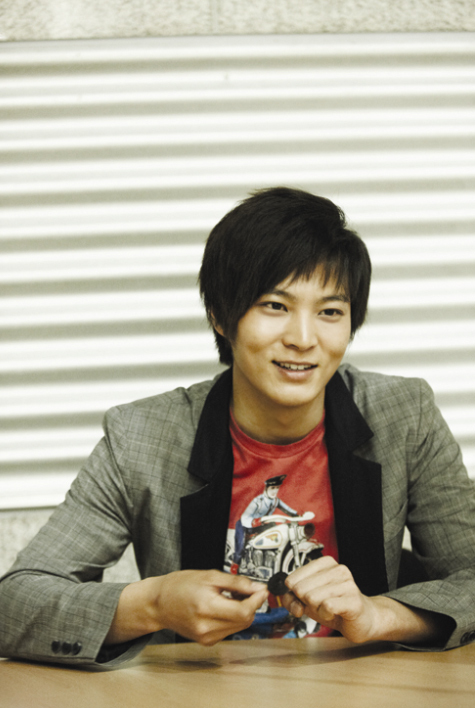 Interviewer’s thoughts: Chatting with Joowon, I felt that this is youth who is growing so dynamically. His dream of becoming a humane actor is just a matter of time. Look at those hands!!! Veins popping out. He looks SO manly!! The way he is sitting is making him manly. The way he is smiling…the way his hands are placed in his lap…the clothes he is wearing..o God, I can’t breath!!!!!!! Why the hell is he not dating Uee in real life is beyond me!! Ugh. The reality is frustrating!